This area gives teachers and all our partners the chance to share the latest news in the world of twinning. If there's something you want to shout-out about, email us with some info and a great pic and we'll try our best to display it on our site. 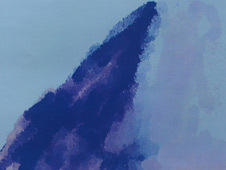 Children aged 8-10 in the UK and Kenya have been discussing the tsunami on Superclubsplus. Schools in Australia, New Zealand, Kenya, Czech Republic, the UK, Eire, Holland, Canada, Thailand and others have posted more than four hundred messages of support. Children have expressed concern for the people of Japan and drawn images of the tsunami. Appleby Grammar School and Stainburn School & Science College are linked to schools in Sendai through the British Council's Connecting Classrooms project. Along with other partner schools in Taiwan and South Korea, the schools have been making a video message of support "Sending our Love to Japan". Exactly a year ago teachers and students from Cumbria visited their link schools in Sendai. Stainburn School is talking to Radio Cumbria about the partnership as their School Report. Dr Hilary Faulkner who co-ordinates the school's international work reports on a busy year linking up pupils in Peterborough with schools in Albania, Colombia, Pakistan and across Europe. Dr Faulkner writes: "We are hoping to welcome a group of young people from the 4 schools in Albania later this year. 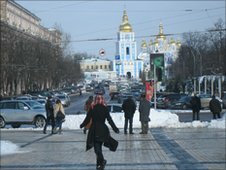 We had a student educational visit to Ukraine. We visited a school, a chocolate factory, site of Hitler's bunker blown up by the Red Army and the teachers visited a children's hospital where there are still children born with defects post-Chernobyl. "We visited Bucharest in Romania last October for a Comenius project on "Violence in Schools and how to reduce it". One of the highlights was the visit to Bran Castle in Transylvania. We hosted our guests from partner schools in Romania, Turkey, Germany, Poland and Slovakia. The programme for their visit included parachute games, drama and movie making with Anglia Ruskin University, Human Utopia and Bhangra dance workshops and a visit to the Tower of London. "We hosted a head teacher from Mirpur, Pakistan in September, launched a Fair Trade project with a school in Bogota, Colombia, skyped a school in Manhattan before a group of competition winners went to New York, and sent a teacher to visit the Rwandan partner school." Birmingham teachers working in partnership with schools in Libya have heard nothing from their international partners since the Libyan uprising began. The UK-Libyan school links are at an early phase, and were being supported by the British Council. Last November, a group of Libyan teachers visited Birmingham and spent time with Neil Mackintosh from Lordswood Boys School and Ann Byrne from Holy Family Catholic Primary. Neil was excited by the prospect of forging links with schools in a country which was opening up to the international community. He was planning to visit the Libyan partner schools in Tripoli, Benghazi and Ajdabiya in mid-March. The visit was called off once the unrest broke out in Libya. Ann is leading a cluster of schools also linked to several schools in Libya. Up until early February she was planning project work with a Libyan teacher on a shared website. "The pupils have asked if the people who visited are alright," she explains. "We are very concerned for these people. It's very sad to think that they may now be in an unsafe situation." Pupils from Gateshead wave goodbye to their Japanese friends. Chopwell Primary School have returned from a pupil visit with their partner school in Japan, a few days before the earthquake struck. Ten pupils aged 9-11 spent four nights with host families in Hyogo Prefecture which is in the west of the country and attended the local school. According to head teacher Bernadette Fellowes-Prynne the children were not troubled by the language barrier and made firm friends with Japanese children and their families. The news of the series of disasters to strike Japan has caused great concern among Chopwell pupils who were initially very worried. They have been able to exchange messages via the Japan Society website and are relieved to confirm their friends are safe. 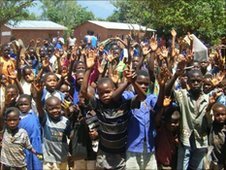 Pupils at Maveya Full Primary School in Malawi are preparing to send an email to their partner school in Scotland the first time. Maveya FPS is proud to host the zone's first Solar Connect centre, which brings the wider world into classrooms in this remote district. Link Community Development has installed a solar panel and computer with internet connection at the school which is now an ICT hub for thirteen schools and their communities in Maveya zone. As well as supporting teachers to develop essential ICT skills and pass this learning on to their students, Solar Connect enables school pupils to communicate with their peers around the world. Maveya pupils will work on projects with their Scottish partners at Strathaven Academy. Local police and the football club have helped schools in Wales make a special gift for twin schools in Africa. Ysgol John Bright, Ysgol San Sior and Ysgol Craig y Don designed T-shirts to send to twin schools in South Africa and Malawi as part of their Connecting Classrooms project. 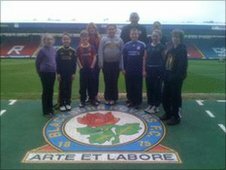 The design day was supported by North Wales Police and Blackburn Rovers Community Trust with diversity, design and football activities for the pupils involved. In November 2010, four Warwickshire schools travelled to Ruyuan, China where they performed 'Romeo and Juliet' to an audience of thousands. The play was also featured on local television. Six schools in Warwickshire have collaborated with schools in the Guangdong province of China through an online tool called The Warwickshire Global Community with funding from HSBC, DfE, British Council, and school fundraising. The purpose of forging these links is to enhance communication and share information about what happens in a typical day for both the teachers and students. Pupils report the experience is leading to a better appreciation and understanding of each other's culture as well as enabling them to develop new skills. 'Our vision is of children learning from each other, about each other and most importantly of all that they connect with each other,' says Head teacher Sam Pater of Clinton Primary School. 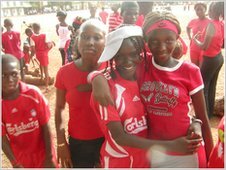 Pupils in Conakry told us they felt great pride in their Olympic athletes and named Fatmata Fofanah as their Olympic hope. Fatmata Fofanah was born in Sierra Leone, but when Civil War broke out, she moved to Guinea. In 2008, during the African Championships, when Fatmata was just 23 years old, she won a gold medal in the 100m hurdle event. She also competed in the 2008 Summer Olympics in Beijing. Beijing medallists Usain Bolt and Michael Phelps are also favourite athletes at Sabu International School. Students said the athletes' success encouraged them to participate in sports. Sabu school pupils are looking forward to the London Olympics. They want the world to see Guinea shine. In 2009, political violence in Conakry made news headlines. Find out more from BBC News. Head teacher Samuel Thoronka says the school is doing well despite the political unrest. Sabu International School are currently looking for a school to twin with. Moyamba School of Technology & Computer Studies in Sierra Leone has uploaded a song called Blood Diamonds. Moyamba pupils are working with many other schools to explore Blood Diamonds via schools online learning community Rafi.ki. They sing about the disastrous effect diamonds have had on Sierra Leoneans during their lives. The Moyamba School puts ICT at the heart of the students' learning and leads the way in their district. "We believe ICT is the driving tool to development in any country," says Head teacher Elongima Bundu. Berkhamsted School welcomed two teachers from their partner schools in style by organising a Flash Mob to surprise their South African guests. The teachers entered the school field on what appeared to be a sports day, but were shocked to see hundreds of pupil gather together to perform a choreographed dance. The teachers from Sandi School and Ntsundwane Junior School spent one week in England, attending school lessons, visiting London, Windsor, and generally experiencing British culture. Take a look at the video of the Flash Mob. A cluster of schools in North Wales have joined forces with North Wales Police and the Blackburn Rovers Community Trust to enhance their international links with schools in South Africa and Malawi. 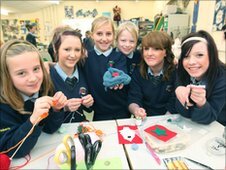 Primary school students from Ysgol John Bright, Craig y Don and Ysgol San Sior invited PCs from North Wales Police into the school to help the children make traditional textile gifts to send to schools in Malawi for Christmas and to teach the officers a few new skills themselves. The schools are focusing on empowering girls as part of their Connecting Classrooms project with schools in Africa. The partner schools in Wales and Malawi are making an international Connecting Classrooms blanket by each knitting squares and adding them to the blanket. The North Wales schools will send their squares to their partner schools in Malawi who will add their own design to them before sending it back. Teachers from Dutse have been visiting their new partners schools in North London. Network Africa Weekend Edition reported on their visit. Katya Mohandi, co-ordinator from Mount Carmel RC Technology College for Girls told the programme about the diversity of the pupil population. "This partnership is really what was missing," she said. "We only look at our own little world here in London... We need to look further away. This is the authentic context that we were missing. It will help the girls to come out of the bubble that they are in." 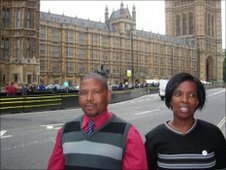 The visiting teachers from Dutse spoke to Weekend Network Africa before they returned home from a snowy London. They told the programme they were impressed by the child-centred practical approach to learning in the London schools, and said that their colleagues in the UK are also learning from them: "Despite the little resources we have, we deliver to the best of our knowledge." The partnerships are faciliated by Cambridge Education Islington, with grants from Global School Partnerships. A partnership ignited almost a decade ago is continuing to flourish between Sarum Academy in Wiltshire and Nqabakazulu School in Durban, South Africa. Since the partnership began, over 70 staff and pupils have spent a week in their partner school in South Africa. Most recently the schools have ventured into a joint business, involving members of the Kwamashu community making beadwork jewellery. Sarum Academy pupils have been marketing and selling the jewellery in the UK, delivering the message of fair trade through a living business. 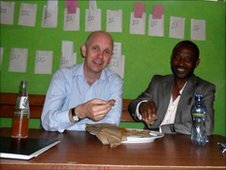 Wreake Valley Community College in Leicester have recently visited their partner school, Ghion Secondary School, in Bahir Dar, Ethiopia. The visit was supported by Link Ethiopia who help manage the partnership between the two schools. Mike Hill, a science teacher, spent time with teachers and students discussing future plans. Mike took a hands on approach, even teaching an impromptu science lesson. "Teaching resources were limited to a piece of chalk and a blackboard. But the students are massively ambitious, seeing education as the way to pull themselves and their country out of a huge poverty trap," Mike said. A few weeks ago World Class did a 'shout-out' about an upcoming joint concert, by pupils from Wells Cathedral School in Somerset and Xinghai Music School in China. The two schools have been working together for five years. Students and teachers from Wells most recently visiting Xinghai in October, then returned to the UK with students and staff from Xinghai Music School for the concert. The concert proved to be a huge success. 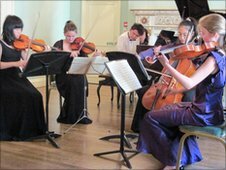 Pupils performed individually then together in a quintet. Pupils from both schools felt the experience led to a better understanding and appreciation of each other's cultures. "It was an intense experience, working with students who come from a totally contrasting musical background, who speak a different language and who live in a city across the other side of the globe," said Daniel, a pupil from Well's Cathedral School. Pupils, teachers and international artists from around the world have come together to share their musical cultures for 2012. 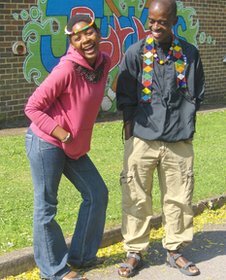 The International Voices project is part of the Cultural Olympiad and connects UK schools with schools around the globe to create international partnerships for 2012 and beyond. World Class caught up with some excited pupils and teachers from schools in Kenya and Cornwall at the beginning of their twinning journey.